If you’re lucky enough to have space at your house or apartment for a backyard, you have all the ingredients to create your very own oasis for your family and friends to enjoy no matter what the season. You don’t need a lot of space for some landscape designs, but others can be quite elaborate and beautiful. This guide will give you plenty of garden ideas and patio designs to create the backyard of your dreams, taking into account your design tastes, spatial limitations, and budget. What is landscape architecture, and why should you consider it for your space? According to the American Society of Landscape Architects, landscape architecture is about how people design outdoor spaces, whether they are preserving wetlands, designing a park, or just redesigning open space to fit a certain aesthetic. Landscape architecture can be very advanced, or it can be relatively straightforward. Some landscape architecture projects include removing toxins from rainwater or preserving the environment, while others include creating healing gardens. A healing garden, created in concert with the medical field, is a garden that reduces stress and through a calming and restorative landscape. Even with a small space, you can create a sense of serenity through landscape lighting and garden design, and even build out your patio to make your house even more entertainment-friendly. The good news is that you don’t need a certification in landscape architecture to create a space that fits your needs and style. There are plenty of seasonal, simple ways to make your backyard a sanctuary. We’ll take you through ideas for building and designing a patio, deck, garden space, and more. 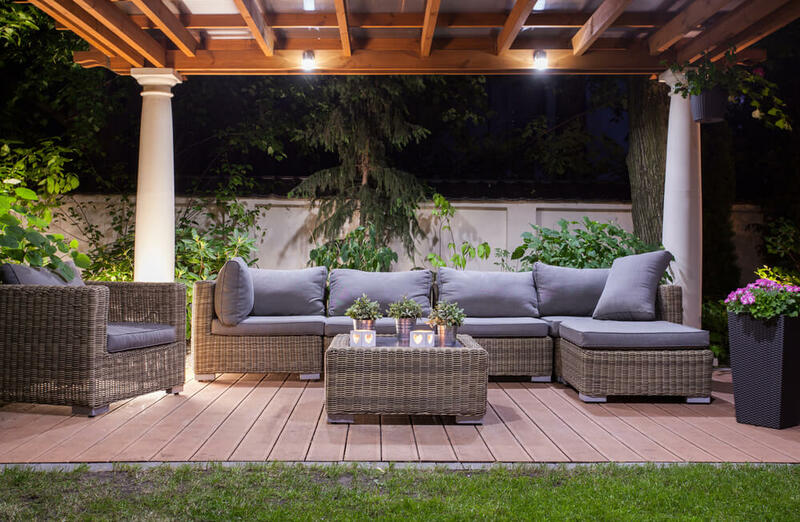 Whether you’re doing a major renovation or building for the first time, or are just looking for some tips to upgrade your existing backyard, we have plenty of options for you. Worried about costs? There’s a simple tool to price out different options for what you want your backyard to look like. For example, for $5,000 there are many small changes that you can make to your space that will feel like a significant improvement. Things like a new patio and outdoor kitchen are simple changes you can make on a budget to make sure you’re getting the most out of your backyard. If you want to go all in, landscape architecture design can be pricey. Experts recommend limiting your highest spending to things that are high quality, and consult a professional designer to maximize your budget. When you get to the point where you want to spend $100,000+ on a backyard renovation, you can add things like a pool or custom fireplace. Regardless of your budget, you should take into account the functionality of the space as you plan your backyard patio design. If you’re someone who likes to entertain, think about the flow of people through your house as well as outside. For some people, the backyard is less about entertaining and more about escaping; adding a hammock can be a good way to make your backyard personal without having to deal with planning a full entertainment space. This guide will take you through some tips for planning and upgrading your patio, deck, garden, and more! This patio combines the lightness from the color palette with stone for a natural, airy feel. To begin the process of designing your patio, start by considering the functionality of the space and how you and your family plan to enjoy your patio. If you have a large family and pets, make sure you’re building out enough surface room for everyone to gather together. If you tend to do some smaller entertaining, then it may make more sense to break up the space into smaller outdoor rooms or patio areas. Naturally, people tend to come together in smaller groups, even if you’re hosting a large outdoor event, so make it easy for them to be comfortable by creating small niches around your patio. If this is a new patio or a renovation project, you’ll have a lot to work with. Designing your own patio can feel overwhelming, but it doesn’t have to be. Think about things like sun exposure, how close you want your patio to be to the house, outdoor views (from the house to the patio), as well as things like entertaining, cooking, dining, and more. When designing a patio, follow the rule that form follows function. Next time you are out in your backyard or have people over, watch how they interact with your existing layout. Your layout should incorporate several areas of interest around the backyard – remember, people tend to gravitate to smaller groups and spaces, so make it easy for them to form naturally. The best way to design your patio space is to avoid having one big rectangular slab of patio placed right at the back of the house. You want your outdoor space to draw people outside, so having your patio pushed back from the house will give people a reason to venture out. Then, the size of your patio should take into account not only the people, but also any outdoor furniture and space for traffic. Don’t try to cram everything into a small space with lots of chairs – sometimes, less is more! If you’re looking for some new ideas to enjoy your existing patio, read on for some patio decorating ideas. Don’t block the view! Sometimes your location is a design element all in itself. There are many ways to upgrade your existing patio and outdoor space. Here are some do’s and don’ts on ways to make your backyard fresh for the spring and summer! DO stick to a monochrome color scheme, like gray or white, for all your furniture. White or gray stools, umbrella, and a round table look chic and polished. DO go seasonal! Pack a punch of color, like a peach pillow or mint-green umbrella for the summer to make your patio feel fresh and updated, and swap out new colors like russet and sunset orange for the fall and indian summer. 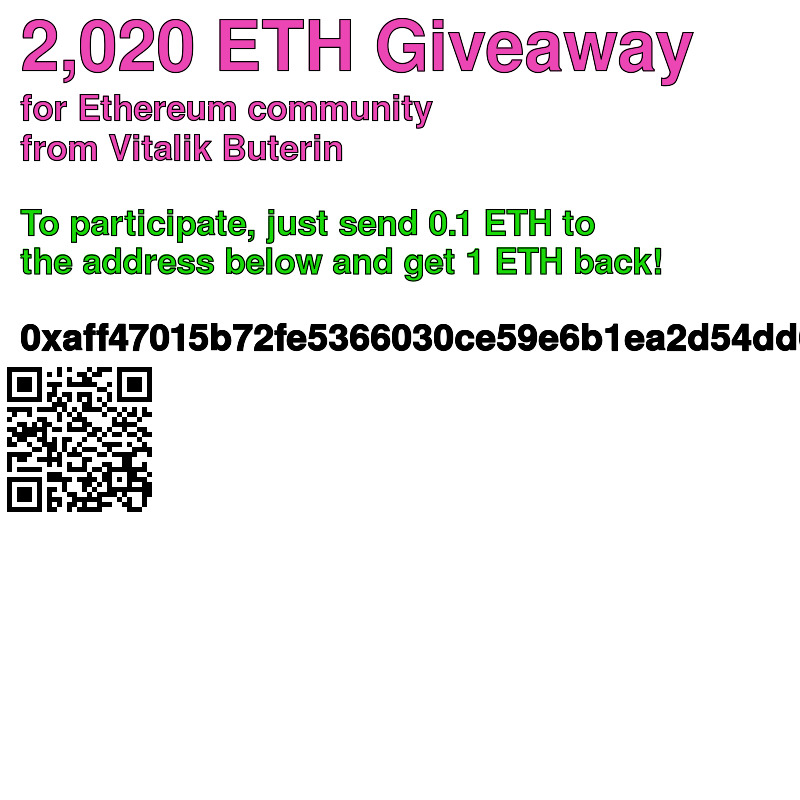 DON’T miss out on some privacy! Entertaining and setting up your space to make it guest-friendly is one thing, but that doesn’t mean the entire neighborhood needs to hang out in your backyard. If you live in a city, enclose your patio with a tall wooden fence. DO rethink what furniture you want. Get creative! There’s no reason why your table can’t be an old trunk or stainless steel butchers table. DO keep climate in mind! We want you to find cool furniture, but also remember that weather will play a factor in your patio design. You want furniture that can withstand the elements, otherwise you’ll be moving things to and from your backyard every time it rains. DO use red! For a budget friendly upgrade, adding a splash of red to your chairs or lighting elements can make the space feel modern. DON’T be afraid to have a sofa! A rattan couch is weather-friendly and can transform your backyard with an assortment of pillows and glass lanterns. Sofas make the space feel more intimate and are a great way to break the yard up into smaller sections. Backyard with a view? DON’T block the sights! Use a backless bench if your space overlooks something amazing, like a cityscape or the ocean. DON’T forget about art! If your patio is back against your house, you can hang a cool piece of art on the exterior of your home facing the rest of your yard. DO make it informal and elegant! Wicker or white painted metal furniture can make a space feel elegant and formal without feeling fussy. DO mix it up! Mismatched chairs or different materials, like rattan and metal, can make your patio feel really unique. If you’re going to have different types of chairs, keep the color consistent, like all white or all the same wood. DO add a swing! Swings and hammocks are the best for relaxing outside on a nice summer day, and also give your guests a seat to fight over. DON’T create a patio space with decor that doesn’t match the rest of your home’s design aesthetic. Carry through different elements, like geometric shapes or light fixtures, to make your patio feel like an essential part of your home. DO add some kind of roof cover for those sunny days when you don’t want to get burned! It can be as simple as hanging a sheet or grabbing an interesting umbrella or a bit more complicated, like building a pergola. DON’T forget about light at night. There’s nothing more soothing than laying in a hammock in the evening while sunlight fades into darkness, but when darkness hits and you’re not ready to go back inside, light some lanterns and keep the zen time going. The neutral color palette of this patio makes the green garden come alive. Confused as to whether you want a deck or patio for your backyard landscape? You’re not alone. There are some key differences to consider when trying to decide whether a deck or a patio is right for you. First: what’s the difference between a deck and a patio? Most frequently, a patio is placed directly on the ground and made of materials such as concrete, brick or tile. They don’t usually have a rail and may or may not be connected to the house. Decks, on the other hand, tend to be raised. Decks are usually made of wood or vinyl, and feature some sort of support system to hold up the addition. Most decks are connected to the rear of the house. A poll by Gallup found that a well-made, high quality deck can increase a home’s value by up to ten percent. This is because it increases the size of available living space. If your home’s square footage is a bit smaller, sometimes a buyer will overlook the size difference if you have an outdoor space that can be used for entertaining. Patios are a great asset as well– even better than decks. The same Gallup study found that patios can increase your home’s perceived value by up to twelve percent. Another key difference is in cost. Decks are the less expensive option, especially if you decide to build your own deck. Save on the cost of building a deck by doing your own labor, and you can still use high quality materials – upping the value of your home even more. Decks can be lower maintenance– though not as low as a well made patio– especially if you’re thoughtful about the location. Having high quality materials are key: if you choose the right wood, it can last roughly seven to eight years, and if you use a pressure treatment, you can extend that lifetime value even further. Note that pressure treating your deck may change the color of the wood and can help you get a rich, deep brown stain. Because decks are built above ground, you have some flexibility when it comes to choosing a location; you can raise the structure above tree roots, wet ground or a slope and give yourself an advantage when it comes to maintaining your outdoor space. Patios, on the other hand, are a better option if you intend to add heavy furniture or a hot tub to your outdoor space. In addition, if your home has a subterranean living room, a patio is a great way to enjoy your outdoor space without blocking natural light into the house. Because patios tend not to be raised, you have to build your patio around things like slopes, tree roots, or other landscape features. Patios are very low maintenance, and can last up to 25 years without losing their value. Having a stone patio means you avoid having to deal with pests, wood rot, and other threats to the integrity of your deck. Because patios are lower to the ground, you’re also offered more privacy; you can build your privacy wall without having to worry about having to tear it down and rebuilt it when you have to rebuild your deck. Either way, the main constraints you’ll need to consider when adding either a patio or deck to your backyard space are things like natural light, cost, maintenance and care, technical ability — can you build a deck yourself? — and long-term value. With these things in mind, feel confident that your decision is easily customizable with decor and landscape ideas. Read on for our tips on how to build a high quality deck, as well as some ideas for making your patio or deck fit in with the rest of your landscape design and backyard aesthetic! This deck combines modern bistro lights and hardwood for a classic, welcoming feel. Looking to build a deck? There are plenty of guides out there that will walk you through how to build a deck from start to finish. 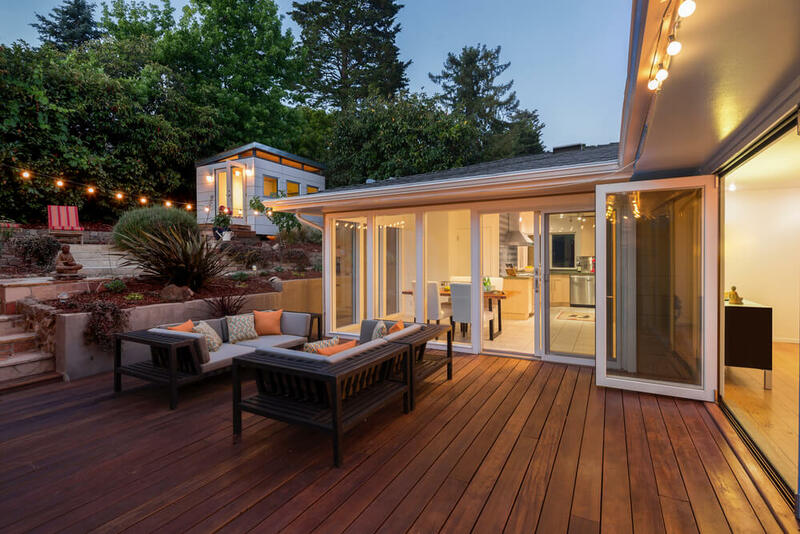 Before you get started, make sure there are no restrictions on whether or not you can use your backyard for a deck; depending on your town’s zoning regulations, you may need to apply for a variance to do any construction on your property. Here are some tips to make sure your new deck is a success, and not a hassle. Get the right screws. If you’re a DIY deck-builder, the quickest way to make sure your deck is a failure is to go cheap on the screws you use to keep your deck together. Look for stainless steel or coated screws; anything else will corrode and discolor your deck. Don’t use electroplate-galvanized screws, either. Once you have the right screws, hide them. Hidden fasteners make your DIY deck look like a professional-grade job. You can find different options for hidden screwheads at your local supply store. Do your research. There are a bunch of different options for what material you want to use to build your deck. If you prefer real wood, some classic and fail-safe choices are pressure-treated cedar and redwood. If you want to be trendy, there are some hardwoods like ipe and jarrah that have great long lifespans (though these options tend to be a little pricier). If you don’t want a wood deck, there are composite decking and synthetic materials like vinyl that work well and last decades (again, a little pricier). Build up. Are you a pro carpenter? Do you have limited space? Consider building a few levels to your deck, rather than just building out. As we mentioned earlier, the best part of having a deck is having a lot of guests enjoy it, and this way you can definitely fit more people while still keeping the space intimate. Don’t forget the railings. Railings on a deck can add an interesting design tactic. Mix and match your building materials to combine metal, glass, or vinyl railings with a hardwood deck. Zoom out. Don’t forget that the deck is part of the rest of the house. Keep in mind the exterior palate of your home, including shutters and other building materials. Pick a shade that looks cohesive with everything else. Add a fancy roof. A deck pergola gives you the opportunity to add both design and function to your deck. Not only does it give you shade, a place to put speakers and hanging plants, but it can also make your deck feel like more of a room. Think ahead. Are you going to want a ceiling fan or other outdoor electronics? Is your deck positioned to get maximum sunlight, or are you in the shade all day? Think through what the end result will be before diving into construction. Then you can trick out your deck when all is said and done. Once your deck is complete, dress it up! Try adding some evergreen trees in their pots for a low-maintenance way to add greenery and a pop of color, as well as a nice natural scent, to your deck. You can also build a trellis or lattice using any leftover wood from your deck to create a vertical garden of sorts; this creates a wall and you can grow things like morning glories or climbing roses for a simple and beautiful way to compliment your backyard design. 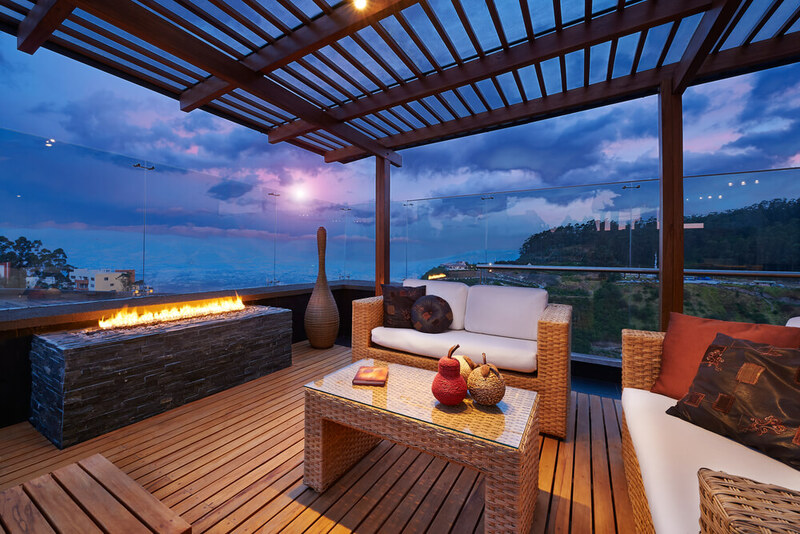 Deck furniture is the one of the best ways to dress up your outdoor space. But what kind of deck furniture is right for you? Here are some ideas for designing your deck to fit your design aesthetic. Pick a color. Unifying your furniture around one bold color makes your deck look consistent and doesn’t distract from the view, especially if you have a lot of landscaping or gardening in the backyard. Two words: Adirondack chairs. Classic, elegant, and comfortable, Adirondack chairs are perfect for many design tastes. Running water. Adding a small fountain or water garden adds a feeling of serenity to your backyard. If you’re tight on space, water can add an instant upgrade to your backyard or garden. Have a focal point. Whether it’s a table with an umbrella or a chaise lounge, you should pick one piece of furniture and make it the centerpiece of your backyard garden design. Go for pillows. Big comfy pillows – make sure you get ones that are suitable for outdoors – can make the space feel welcoming, no matter what the weather. Look for fabrics with bold, bright colors and spray them with a washable protectant to make sure they don’t get mildewed or stained. Go green, and private. Don’t want a privacy fence, but do want to make your space feel more intimate? A row of small trees in a planter can make the space feel more enclosed and afford you a little more privacy without the intimidating fence factor. Don’t forget the lights. String lights, bistro lights, lanterns, and more! Find some unique lights to string around your deck and get a cheery glow going. Get a fire pit. Not sure what you want to be the focal point of your deck? A fire pit is the ultimate unifier. Whether it’s s’mores on a hot summer night with fireworks or blankets and hot chocolate on a crisp autumn evening, the fire pit is really the best part of having a backyard. Add textures. Old textiles and slipcovers are easy fixes for outdoor deck accessories. You can find old canvas blankets and vintage-inspired pillow cases at flea markets and open air markets, and transform them into interesting textures and statement pieces for your outdoor furniture. Get creative with your storage. Have kids with toys, a lot of family games, or just looking for a place to store extra pillows and outdoor accessories? Find some patio furniture that also doubles as storage, or use wood crates for your gardening tools to make your storage look creative rather than lazy. Don’t avoid neutrals. If you have a garden or a backyard with a lot of greenery, maybe tone it down for the pillows and cushions on your deck furniture. You can also switch things out with the season, so maybe get something a little softer for the spring and fall and leave the bold brights for the summertime. Mix modern with rustic. You can artificially age a modern metal table with salt and vinegar to create a worn, aged appeal. Or, if you’re going the wood route, chip away some of the paint to make the table look weathered and custom. Keep it unbuttoned. When you’re entertaining outside, the idea is that it’s a bit less formal than sitting at a dining room table with a white table cloth. Use mason jars as vases, pick flowers straight from your garden, and loosen up a little. 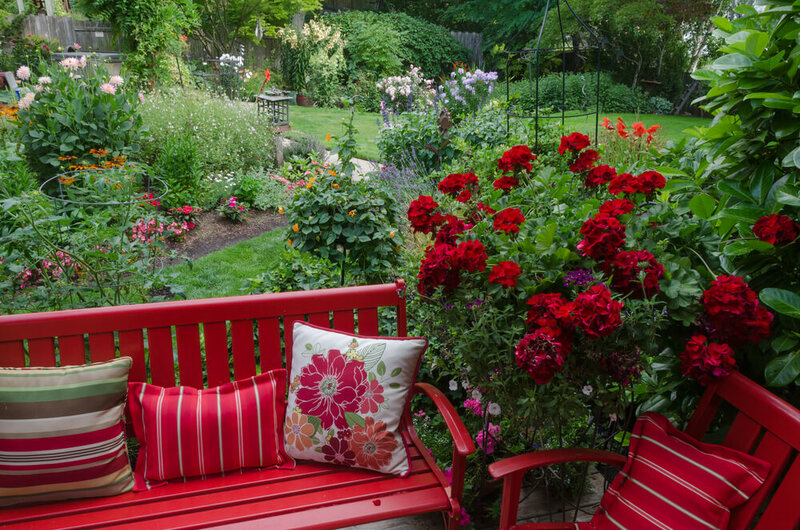 The matching red of the roses and the patio furniture add cohesiveness to this landscape design. Putting your backyard to good use takes a lot of forethought. Do you want to dedicate your space to a deck or patio? Do you want the lawn to be open, or do you want to fill it with a garden? Thinking through what you want to use the space for is the first step to upgrading your backyard into something everyone can enjoy. Unlike a front yard, where everyone can see what you’re planting and how well you’ve maintained the space, the backyard is yours to control and design as you wish. Consider how much maintenance you’re willing to put into your backyard garden, since it’s likely that the people who will see it the most will be you, your family, and your closest friends. If working outside really isn’t your thing, then keep it simple with some succulents or bushes that can tend to themselves. You can also build a wood feature, stone fence, or add statues to make the space feel more curated and less random. Landscaping and gardening is really mostly an aesthetic pursuit, unless you’re growing a vegetable garden. Combine style and functionality by adding garden elements like a pergola, arbor, or border around your deck in addition to things like a bird bath, bird feeder, or sculptural element. If your family loves games, leave plenty of room for things like bocce or croquet. When planning a flower garden, think about the space, sun, and time and energy you want to put into the garden. 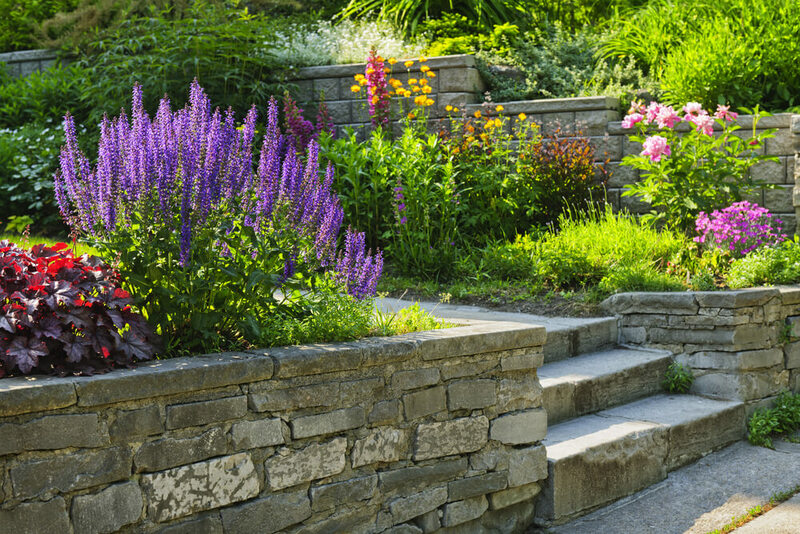 Designing and maintaining a garden is not unlike remodeling or redecorating. Vary the heights, types, and blooming times of your flowers to enjoy your garden all season long. Good garden design means taking into account how all the elements of your backyard relate to each other. Keep in mind the other parts of your backyard that may clash with the others. For example, if you have a lot of green plants, maybe don’t opt for the green seat cushions on your deck furniture. Or, if you have pops of red throughout your patio design, plant a rosebush nearby to create consistency. Experts recommend using several colors in the same spectrum to make your garden look cohesive and not overwhelming. Not only should you be thinking about the colors in your backyard, but also the textures. If you have rustic pillows, then consider playing with plants of different heights and textures – cactus, for example, with bulb flowers like irises or daffodils. Alternately, you can mix flowers and vegetables in your garden – flowers tend to attract pollinators like bees, and vegetables will add pops of color after your flowers have faded. Here’s a good guide on how to mix your plants. If gardening isn’t your thing, then it’s easy enough to call a good gardening team to come in and either build or plant and maintain your garden for you. Make sure to consult with them on your landscape architecture ideas and plan before putting them to work! Planning your backyard landscape can take some time, but gardens like this are worth it! As we mentioned at the beginning of this guide, landscape architecture is a field of study all within itself. Landscape architecture can mean anything from preserving wetlands and creating parks for the public to enjoy to creating an entire garden ecosystem in your backyard. And after everything we’ve already covered – from patios and decks to creating a flower garden – figuring out how it all fits together is a major part of landscape architecture. Here’s how to tackle making sure your elements come together in a beginner’s guide to landscape architecture and how to create the backyard of your dreams. First – and this is something you’ve probably already done if you’ve been following this guide from start to finish – make a list of everything you want from your backyard. This is the functional part of your space. Are you a big entertainer? Do you have pets or kids that want to play outside? Part of landscape architecture is designing the space so that there’s harmony between both design and function. Sometimes it helps to draw it out as well, even it it’s just a few lines and circles. Next, start watching the weather. When does the sun hit where? What are the wind patterns? Is there a certain part of the yard that is getting runoff from the rain more than others? If your backyard has a slope to it, it’s important to take this into account before planning your vegetable garden and seeing your tomatoes get washed away by the spring showers. Same with the wind – maybe don’t put your fire pit next to the corner with the most wind. None of these elements should necessarily discourage you from designing the garden the way you want it to look, but knowing if you need a raised garden bed or if you need to make any other adjustments to the way you were planning to construct the functional elements of your backyard is important at the outset. Once your design and planning is informed by the physical limitations of your garden space, start small and work your way up. If you have a garden in your design, that’s usually a good place to start. Try working on that for a while and seeing if you have the tolerance and affinity for gardening, and then add in design elements as you find success. It’s also helpful to experiment a little and discover how much room certain plants really need to thrive; you may have accounted extra space for some plants only to find that herbs – like mint for example – need a lot more room that you previously had planned. In addition, if you’re planting perennials or bulbs, it can be difficult to predict what your flower garden is really going to look like until the second or third growing season. 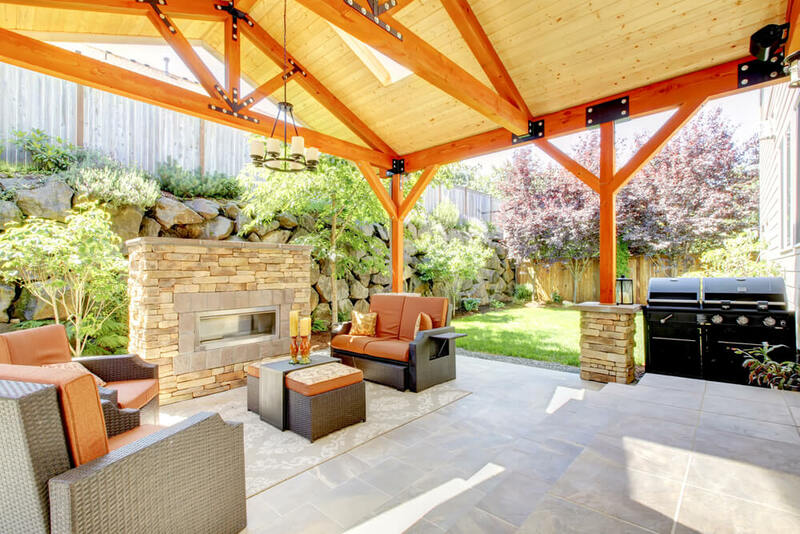 While filling in parts of your design, not only should you smart with individual elements, you should also keep in mind what you want the focal point of your backyard to be. For example, if you’re planning on adding an interesting garden sculpture or fountain, that is a focal point that you can add in pretty early in the design. If you’re thinking more along the lines of growing a tree or interesting series of shrubs, it will take a while for those elements to form the way you want them to. Lastly, the things you want to pay attention to as your going along are the scale and pacing of your backyard. Of course, you’re going to want some variations in the height and color of your plants, but make sure to repeat a common color or shape to bring it all together. Sometimes it can be as simple as matching three flower colors to three colors in your deck accessories or furniture. 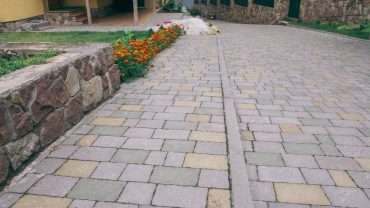 You want to make sure if you’re adding garden paths, they lead somewhere one would naturally want to go and don’t send your guests down the rabbit hole. Leave room for people to navigate without feeling constricted, and also allow yourself enough access to the garden to be able to tend to certain parts. You may also want to consider where your water source is, if you have a garden that will need constant maintenance. Make sure your hose or sprinkler can reach that far! Be a little patient. In the beginning, your landscape design may not look like much, but as you keep going things will start to come together. Once you get everything filled in and figure out when your plants are really going to flourish, you’ll be able to spend much less time planning and more time enjoying! Lighting on the focal point of your landscape architecture design can have dramatic effect in the evening. Once you’ve completed your backyard design and are well on your way implementing your landscape architecture, you’ll want everyone to appreciate the hard work you’ve put into making your backyard aesthetically beautiful. Landscape lighting will allow you and your friends and family to enjoy the outdoors at any hour, and in itself the lighting can add a nice element to your backyard design. 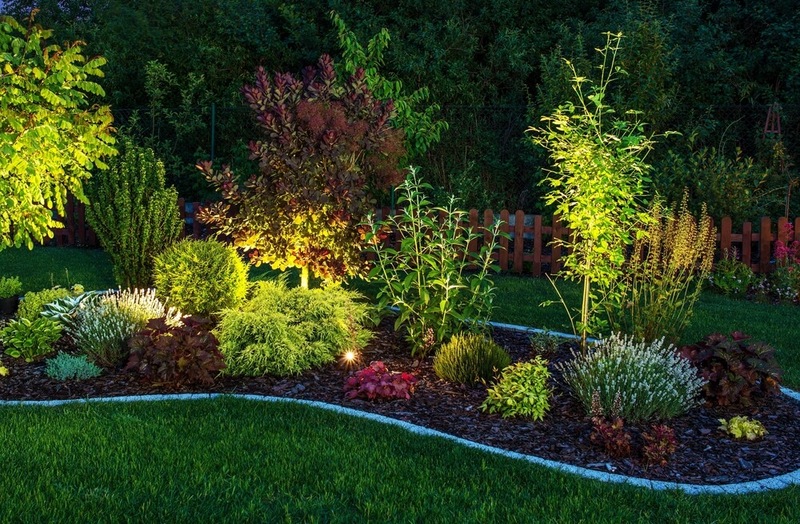 Here are some ideas for how to achieve perfection by adding landscape lighting to your backyard. Light the way. Use lights along your garden path to show people where they’re going. Make sure to leave space between each light so that the visitor’s eye is drawn down the path. Lights don’t need to be glaring, but they do need to give the visitor some parameters so they don’t step on your flower garden! Mix and match. Put lanterns on the outside of your paths, but bistro lights on your deck, for example. Different shaped bulbs around your deck or patio can also provide interesting design elements. Colored lights can add whimsy to your deck or patio; try to find ones that are all one color, so it doesn’t look like Christmas in July. You can also find bulbs with interesting filament shapes, like these antique light bulbs. Backlight your furniture. Putting lights under your sofa and table to make them glow softly makes your patio look ethereal and also makes sure the lights won’t shine into your windows and keep guests and kids awake at all hours. Light a focal point. Putting a light behind or within a fountain or sculpture can light up the centerpiece of your landscape design. If you have an interesting sculpture, you can create cool shadows by playing with the angle of the light. Make it moonlit. Using a cool blue light shade in your garden makes the space look like it’s totally lit in the moon. There’s a company that uses cooler temperature lights to make the space look like nothing from this Earth. Add a fireplace or firepit. Even in the summer, having a fire late at night is a great way to bring the group together for s’mores or late night ghost stories. You can also add a wood-fired oven and make your own pizza! Add lights in the pergola, and not just in the ceiling. Putting in some floor lights that crawl up the wall toward the reach of the ceiling lights is a great way to create a sense of drama and intrigue. Light the waterfall in your water garden, if you have one, to create a feeling of energy and motion in the evening. Having your guests gather around the pool that’s backlight amps up the tone of the party in no time.